Check out LANEY!! This girl worked it for her senior session and even threw in a first for me; portraits with not one, but TWO horses. I have to admit photographing horses provided a few new challenges that kept me on my toes but they are such gorgeous animals and within minutes of photographing with them you could see the relationship they have with Laney. Both quickly snuggled into her when put in the new situation with the lights and camera and all the attention on them. I have to say I’m looking forward to the chance to work with more clients with horses and always suggest we include the things like this that really show off your personality and interests in your session. Laney definitely got a session unlike any other I’ve ever done! I’m also really stoked about the collages we designed for their home, including the first image below that she’ll be rocking in a 40″ canvas collage! I cannot wait to finish her album, they chose so many awesome images that I cannot wait to show off in a one-of-a-kind album design. (Can you tell I’m excited?!?!). 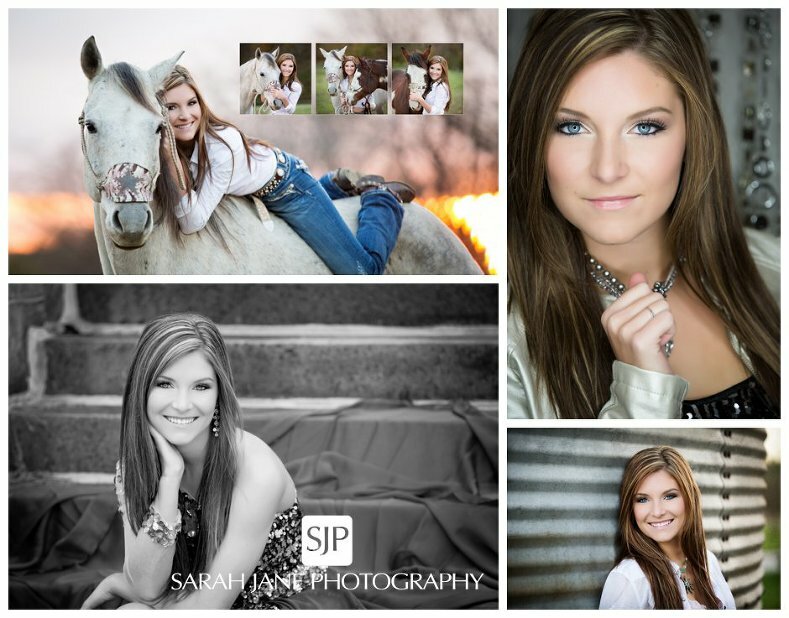 Thanks for choosing SJP for your senior portraits Laney, I had a blast creating these for you.